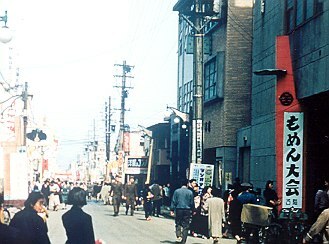 The streets were always a busy with shoppers when I was in Sendai. The stores opened early in the morning and sold goods to everyone. Exchange rate 360 Yen to 1 Dollar.